Start Rockin' in the Free World— for Your Health! How is your Neck ? Wrists, shoulders, hands, feet, toes, fingers, ankles, knees and elbows to name a few. Few chiropractors such as Dr. O'Hara, are trained and excel in the chiropractic technique of extremity adjusting. 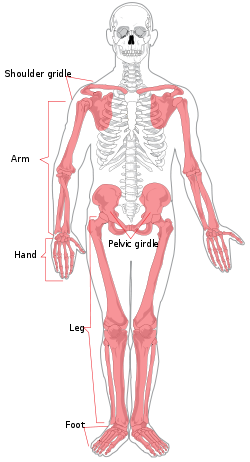 Extremities include wrists (carpal tunnel) ankles (tarsal tunnel) Knees (sprains/strains), fingers, toes, elbows, shoulders, ribs, etc… This is done using the same philosophy that is used to align spinal segments. A joint that is misaligned has an increased propensity for aberrant motion and pain. Seniors to athletes benefit greatly from this modality. We take pride in the relief we attain for our patients with extremity adjusting. Highly recommended and Highly effective. "Dr. Kevin and his staff are great. My wife called a couple local chiropractors trying to get some information regarding what our insurance covered and the Office staff at O'Hara were the most helpful and worked hard to help answer our questions. Dr. Kevin is beyond great his "bedside" manner is excellent he makes you feel like you have known him for years. I will recommend his practice to anyone I know that is looking for a chiropractor."